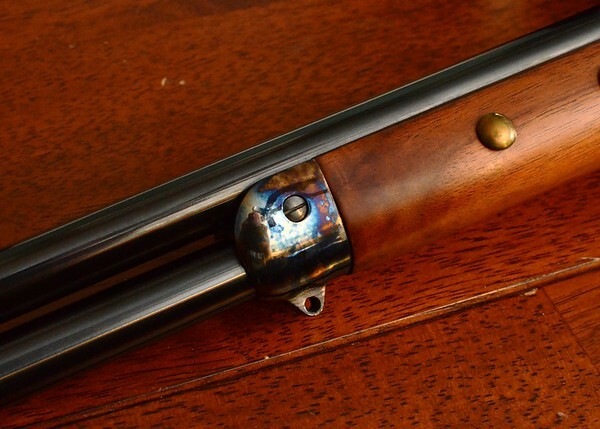 Let's see some pictures of that circa 1925 Winchester 94 John...!! I agree lets see photos of that Model 94! You know what they say...photos or it didn't happen! $191.00 plus tax in December 1989 through JC Penneys' Mail Order - try that in today's JC Penneys. Had to send it back in January '90 though. Safety worked so well, one could not engage the trigger and it would not fire at all. Then $200.00 for one used from a private seller the next month that year. Well, I didn't exactly get a bargain, but considering the inflation calculator, the price that I paid for my Commemorative in 1983 dollars was pretty good. 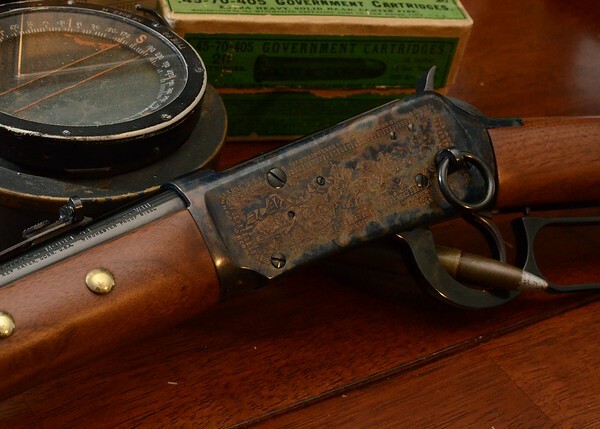 Crazy Horse Comm in 1983 was $550 new ($1380 in 2015 dollars) and I paid $730 in 2016 dollars, new, unfired, well, until it got to me....I have a no virgins policy with my rifles that date back to 1883. Sportsdad60 that's a fine looking 94 ya got there! 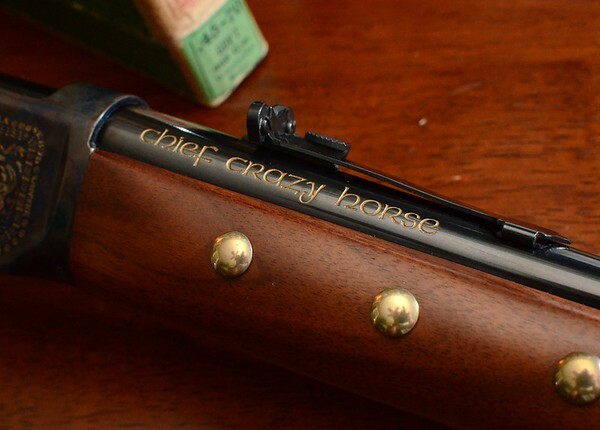 The Chief Crazy Horse is one of my favorites of all commemorative's. Nice photos as well! Thanks for sharing. 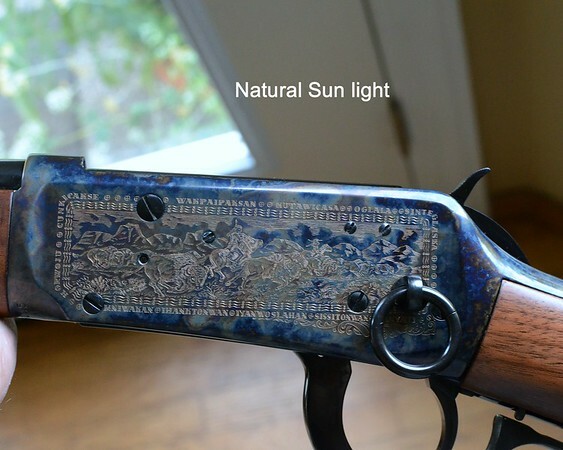 I have a 32-40 and looks tobe hand engraved, I got it at the Cody gun show '98 for $1375 . I'll post some pictures ! 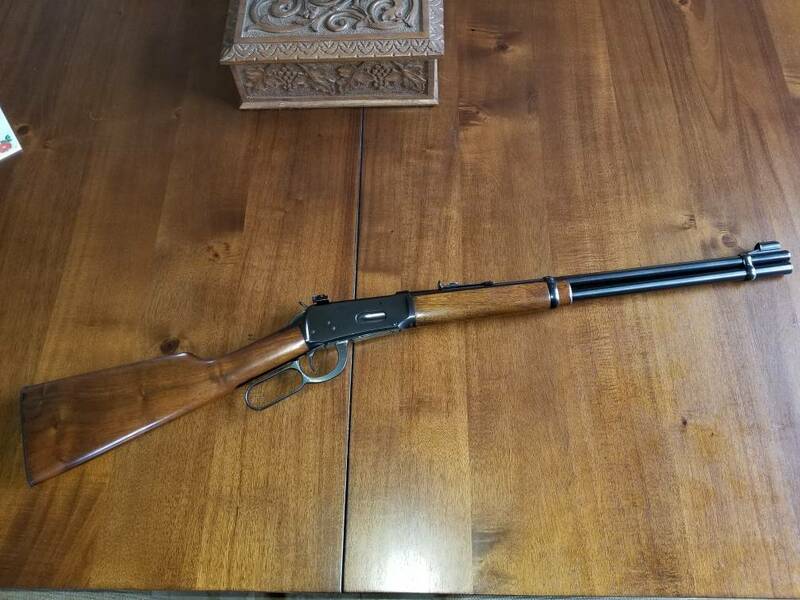 I have a 1953 94win 32cal it is in very good condition, paid $475 for it on 1/25/2017 !!! I paid $150 for a 1974 plain wood model in 1983/4. Somewhere in that time frame. Sold it in 1997 I think. No regrets for that one. 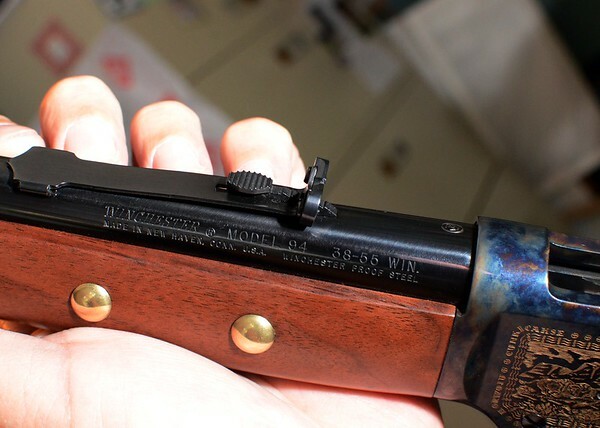 I paid $400 for a 1951 model last summer that someone had "personalized" with 2" magic marker diamonds on both sides of the stock and on the bottom of the handguard. And the ones on the stock weren't even opposite each other. Moron! I took my time getting the old finish off and carefully sanding the diamonds off. 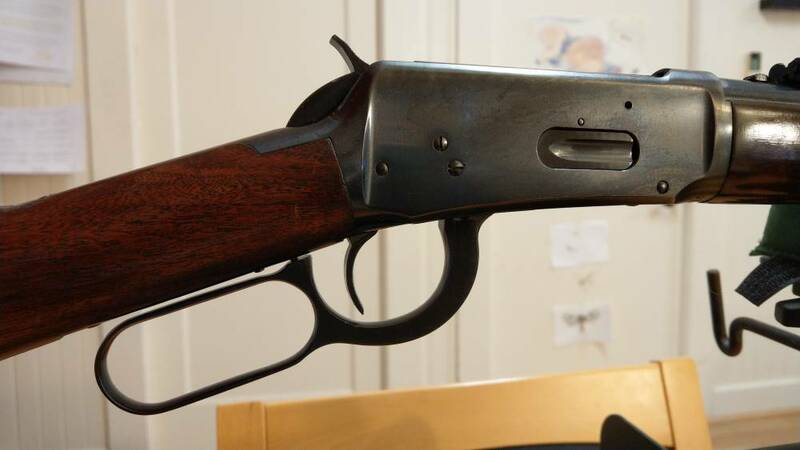 I found and fixed a slight crack in the stock where it connects to the receiver (can't see it now) and refinished it with three coats of Watco Danish Oil in Golden Oak and a couple coats of tung oil over that. $150.00 at Walmart in about 1985 for 1894 AE. Just put a Malcolm 6X short replica scope on it. Sighting it in next. Looks pretty cool. May not be historically correct but thought I would do it anyway. 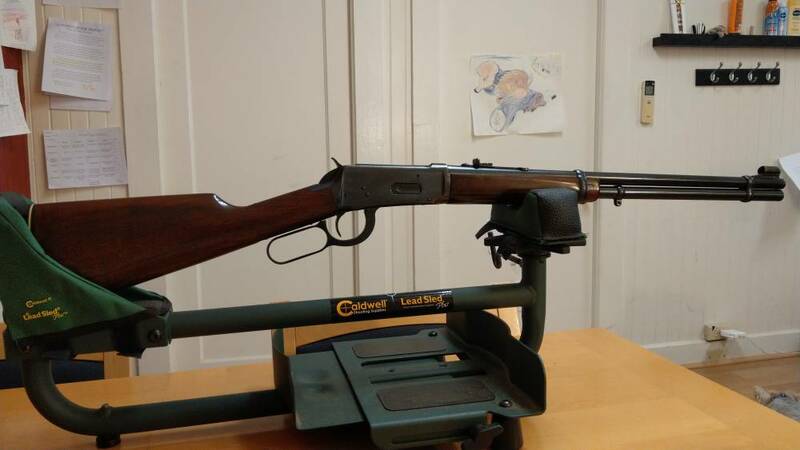 Just bought my first lever action. I got a 1971 1894 30-30 for $300. I scored a pre-64, manufacture year 1952, 30-30 1894 graded at about 90% , in really excellent shape except for the 3 notches the previous owner carved just behind the Tang, signifying what I don't know, for $450.00. Except for the notches it's a beautiful piece and a sweet shooter. 1195 (OUCH!) for an un-shot (at least per info and apparent condition) late 1940's carbine. Virtually no handling marks and no "shiny" wear marks on bolt/receiver. 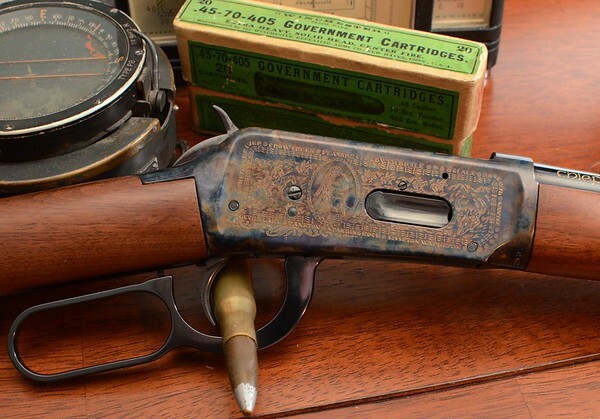 Specific year unknown but 15 serial number and "30 WCF" on barrel. I totally disassembled it to clean the hardened original grease and cleaned/re-lubed/re-assembled it. It's now had two boxes of 150 grainers though it; at 100 yards I was able to consistently shoot 5 shot 1.5" groups. It will go hog hunting in May. I'm basically treating it as having just purchased a new hunting rifle, I am not treating it as a collector gun. It replaces a post-64 that was my previous deer/hog/black bear gun. I just bought a 1963 94-30-30 from a gun show estate sale. Paid 700.00 which is probably top dollar but this rifle is in perfect condition. One small dent on the fore end that came out with a little head and a cold rag. Bluing is perfect, rifling sharp and crisp with no fouling. I took it apart today for safety's sake and there was absolutely zero grit in the usually places. I'm sure it was the first time it was taken apart and may have been the first time it was fully cleaned. Can't post pictures yet but as soon as I can I will. This will be my "other" rifle when hunting. My new model 70 30-06 is my normal hunting rifle. Shot it today. 6 rounds was all. The prior owner put a Williams peep sight on it and it was all wonky. I need to get it on the mill and straighten it out. I'll shoot again later this week. As far as running, it was perfect. I shot using my minds eye and put three in a decent group for off hand. Oh yeah, I have replace a leg on my target stand, round nose bullets are unmerciful to wood. LOL. I paid $400 plus tax at a pawn shop. It came with the redfield m294 mount and 2x scope. I bought mine new in 1976 for $88.00 from Nichols department store. The clerk let me open up 4 or 5 boxes and helped me pick out a nice one. Got it in 1963 from a guy who put 5 rounds through it. It was in the closet for a while. Gave him $35.00 for it with the remainder of shells. 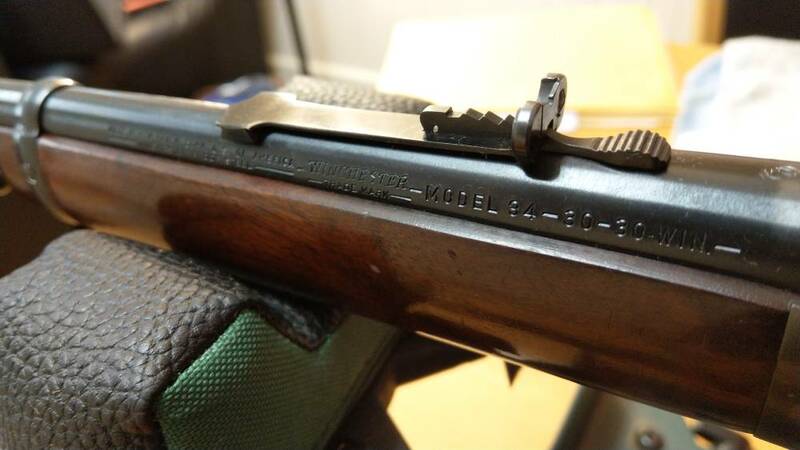 Checked the Winchester website with ser# It was made in 1953. You did good. Nice looking '94. redryder wrote: You did good. Nice looking '94. Have to get it out to the range soon. Haven't shot it in years. Been busy breaking in a few new handguns. Finally added one to the collection. It's a '51 in 30-30. Condition was pretty good with the exception if the added recoil pad on the shortened stock. Paid $650. Beautiful Winchester from the best generation of most everything. Nice grouping. Those splat targets really show off hits. Offhand or bag?